Things seem to go in trends in my circle of herbal friends, sometimes I hop on the bandwagon and others times I can sit back and think, “That’s not for me!” When I kept hearing the word ‘chaga’ and ‘medicinal mushroom’ I would inwardly cringe. I really wanted nothing to do with drinking some fungus, even if it was good for me. I can barely stomach mushrooms on my pizza. However, after several friends specifically asked me if I had tried it for my Hashimoto’s, my interest became piqued and off to google I went. Well, would you know, chaga isn’t some slimy, gross mushroom? Chaga is actually more wood-like in texture and can be ground into powder to make a rich, coffee-like drink. I like coffee so I thought maybe I could actually try mushroom tea/coffee! And my friends were right! Chaga does in fact, taste a bit like coffee…add some raw cream and maple syrup and it is downright yummy! More amazing than the taste is the medicinal properties. Along with being a great immune booster to help prevent the flu and colds from settling it, chaga also helps support the immune system to function properly. 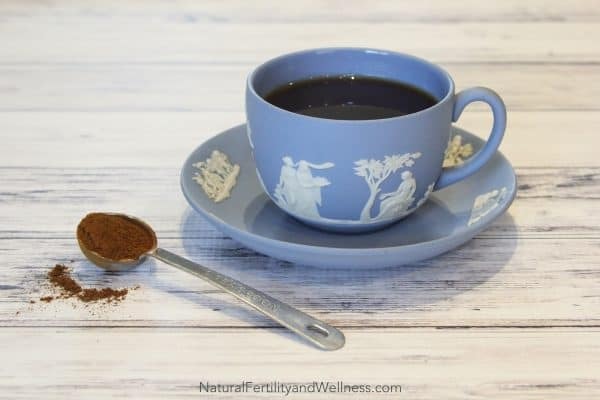 (This is great for anyone with a compromised immune system due to autoimmune disorders like Hashimoto’s) Chaga is considered to be one of the best adaptogen herbs so it will help support the body during times of stress and help your immune system regulate. Chaga has been greatly promoted as having anti-cancer properties and helps prevent tumors. It has been used in other countries for centuries as a daily strengthening tonic. Inflammation is a common problem with a lot of diseases and illnesses. Chaga is a natural anti-inflammatory herb. I have yet to see any cautions of drinking chaga, but like anything else in the supplement world, drinking a small amount first to see how you react is a good idea. I personally drink a cup a day but I have a friend drinking just a few tablespoons at a time and having good success. Some people also experience better sleep, increased energy, and a lack of an afternoon/evening slump, but as with any herbal product, this may be different for you. While it can be found in capsules and tinctures, I decided to try my hand at making chaga tea. I make a gallon at a time so I have enough for my family for a week. While I’ve seen a lot of methods of making this tea, I decided the crock pot method was the easiest. On Sunday nights, I put a 1/4 cup of powdered chaga in my crock pot along with a gallon of water. I set the slow cooker on low for a few hours. Before bed, I move it to warm and let it simmer overnight. I’ve seen conflicting information but common sense tells me I don’t want it to get too hot and lose the medicinal value. In the morning we have hot chaga tea ready for us! A coffee filter is all I use to strain the tea into jars and refrigerate. The grounds can be used for at least one more round of tea, which makes it economical. I have also read that you can reuse the grounds to make a tincture and I plan on giving that a try in the near future. You can also add a small amount of sweetener (maple syrup is great) to taste. 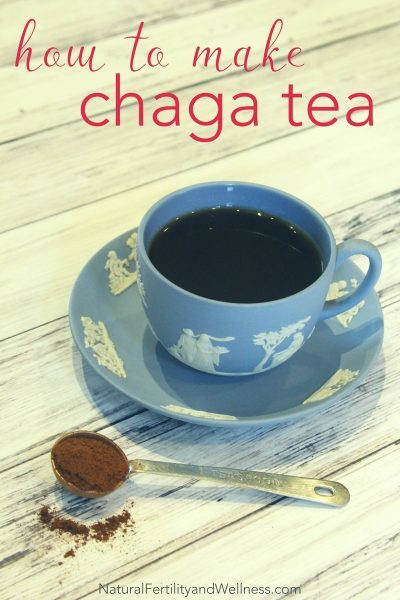 Chaga is available online to purchase in whole, powdered and tinctured form. 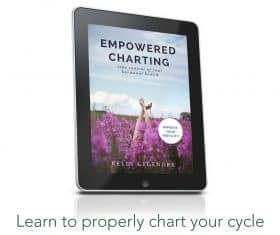 (available on Amazon) When looking for a source make sure you find one that says ‘wildcrafted’ as well as from an ethical source. Have you had any health improvements using chaga or other medicinal mushrooms? I have been drinking Chaga for about a month and have had amazing results. I have CRPS/Fibromyalgia and the inflammation in my body has decreased tremendously and my pain has decreased as well! This is amazing! 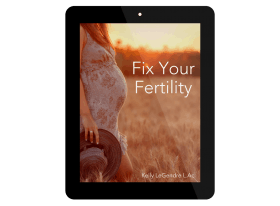 I am also going to be giving it to my husband in the hopes that it will help with the infertility issues and help us have a baby! You never know right?! ?